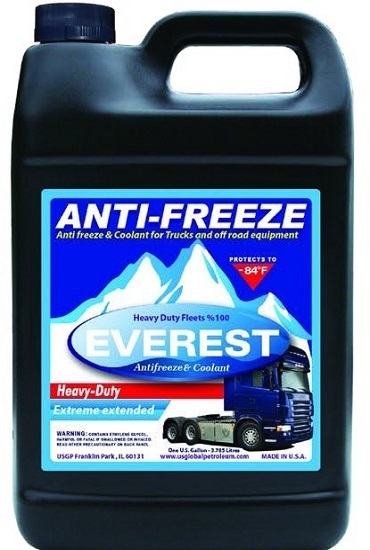 Ethylene glycol poisoning refers to the unsafe ingestion of the toxic substance methanol. It is the byproducts of ethylene glycol metabolism that are the real problem. When ethylene glycol is ingested, the enzyme alcohol dehydrogenase (ADH) will metabolize it into oxalic acid. This is a dangerous compound to have in the body because oxalic acid will avidly bind calcium, and causes both hypocalcemia. and the precipitation of calcium oxalate crystals in the urine/kidneys (which leads to renal damage). Mental status changes similar to ethanol intoxication. Commonly young children who are unattended will ingest antifreeze and be found unconscious by their guardian. Metabolic acidosis marked by an increased anion gap. Increase creatinine as a result of renal damage inflicted by calcium oxalate stone formation. 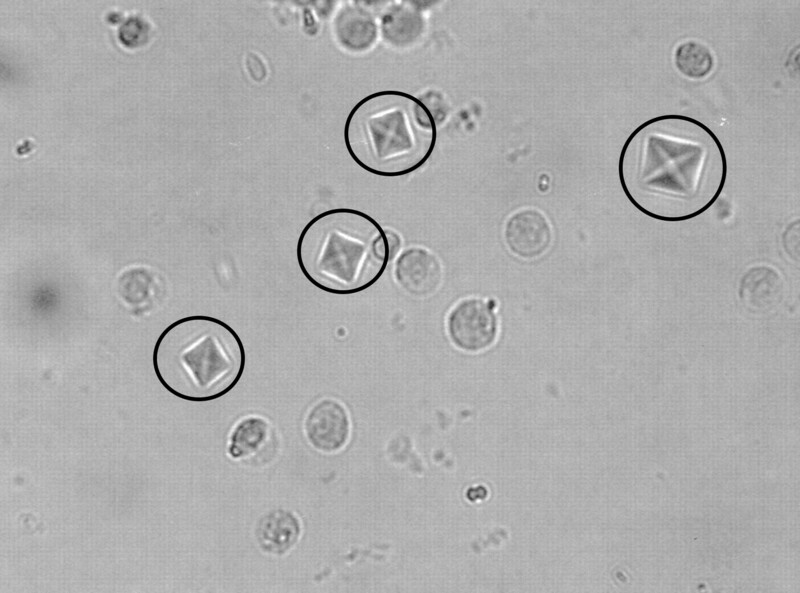 Microscopic urinalysis can show the presence of calcium oxalate crystals. This can be highly suggestive of ethylene glycol poisoning under the right circumstances. Urine analysis under a Wood’s lamp. The oxalic acid in a patient’s urine will cause it to glow blue when looked at under a Wood’s lamp. Serum testing for ethylene glycol/methanol levels is often performed by gas chromatography, however such tests are not readily available (and need to be sent out). In many cases patients will be treated for intoxication even without serum confirmation. If the clinical suspicion is high enough, it is not practical to wait to treat the poisoned patient in question. 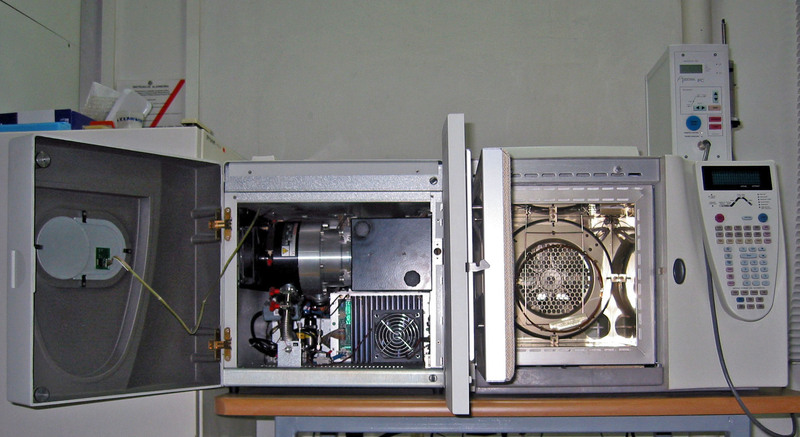 The gas chromatography lab studies used to evaluate for the presence of methanol/ethylene glycol in the serum are not exactly simple ones machine shown above). They may not be available in many care settings (source). Fomepizole is an inhibitor of alcohol dehydrogenase and is an antidote for methanol or ethylene glycol poisoning. Ethanol administration was used before fomepizole became available. This is because ethanol will compete against ethylene glycol to bind ADH for metabolism. Hemodialysis may be needed in more severe cases to rapidly remove the toxin from the blood. Calcium gluconate can be given to replenish serum calcium levels (and help treat tetany/seizures caused by hypocalcemia). Avoiding ingesting substances containing ethylene glycol is the key to avoiding methanol intoxication. Nephrotoxic renal damage can be caused be the precipitation of calcium oxalate crystals in the kidneys. Death can occur from untreated ethylene glycol poisoning. Disulfiram is a acetaldehyde dehydrogenase inhibitor, and would not be effective in treating ethylene glycol toxicity.